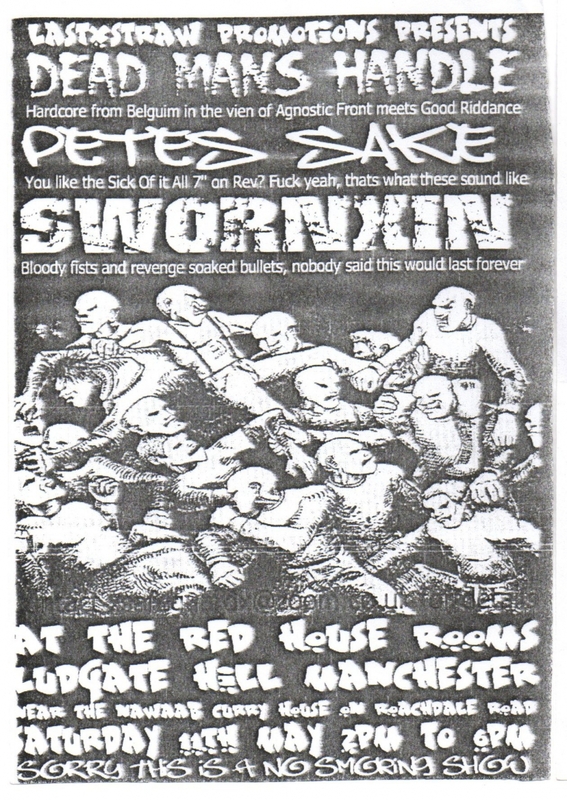 Straight-edge matinee gig at the Redhouse. An unlikely line-up for BURNST to be added to, for one of their first ever gigs. I think they opened and SWORN IN (about the polar opposite of Burnst in every respect) headlined in the late afternoon, Pete's Sake cancelled.